Any native southerner will tell that sugar has no place in cornbread. But today's cornbreads made without sugar are often tasteless, and therefore need a bit (or a lot) of sugar to give them much needed flavor. This was not necessarily true in the days when corn was left to ripen and dry in the fields and ground on stones. When grinding mature, field-dried cornmeal on a mill, the result is a naturally flavorful and sweet product that is so tasty no additional sugar is necessary. Technological changes over time are largely responsible for the addition of sugar into cornbread recipes. By the turn of the 20th century, a new roller mill for grinding corn was developed that stripped the corn of lots of its flavor and created a much finer meal. Flavor is lost because roller mills eliminate much of the corn kernel itself including the bran and germ, both of which have a lot of the corn's great flavor. When cornmeal is ground the old-fashioned way using stones, the whole corn kernel is ground, including the bran and germ. Even if the fibrous bran and germ is sifted out, its flavors commingle with the endosperm (the fine part of the corn we like to eat) and give the corn a complex and rich taste. Likewise, the roller-milling process also yields cornmeal with far fewer nutrients because the processing method strips the corn of its natural nutrients. Therefore, they need to be added back in, or "enriched". In addition, instead of using mature, ripe corn, commercial cornmeal producers use unripe corn that is dried with mechanized hot air which yields a product that has much less flavor. 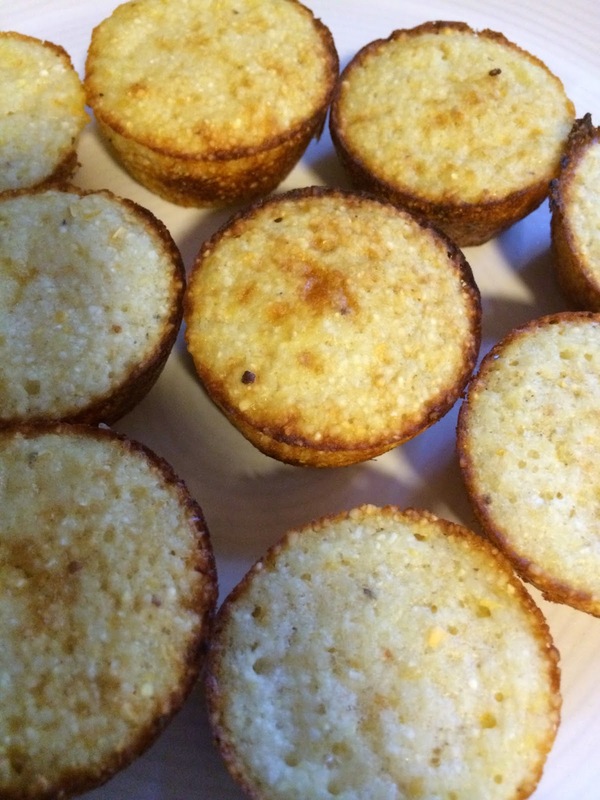 Therefore, sugar became a regular ingredient in cornbread recipes to add more flavor. 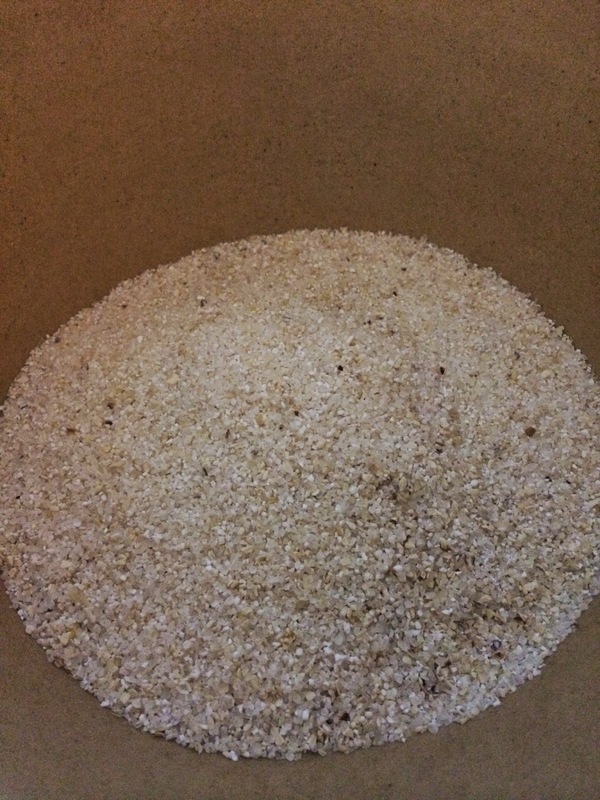 Similarly, the finer grind that resulted with the use of roller mill-made cornmeal makes it harder for the cornmeal to react with a chemical leaven. Therefore, wheat was often added to make the bread rise properly. Skip the enriched and degermed cornmeal and choose stone-ground instead! 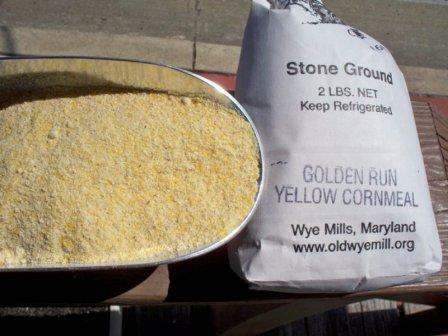 I like local Maryland cornmeal from the Old Wye Mill or from the gristmill at Washington's Mount Vernon. Maryland's Old Wye Mill is located in Wye Mills in Talbot County on the Eastern Shore. It dates back to 1682 and the flour produced there fed the Continental Army during the American Revolution! Sift and mix dry ingredients. Beat egg slightly and add buttermilk and melted shortening. Add liquids to dry ingredients, mixing with folding motion, enough to moisten meal. Pour at once into hot muffin tins, Bake in 450° oven for 20 minutes. Makes 8-10 muffins. [Or, you can make mini muffins and bake for just 8 minutes.] Note: If buttermilk is not available, use 1 cup sweet milk with 1 tablespoon of either lemon juice or vinegar. Click this link: http://seriouseats.com/2014/08/why-southern-cornbread-shouldnt-have-sugar.html to read more about the technology of corn processing.